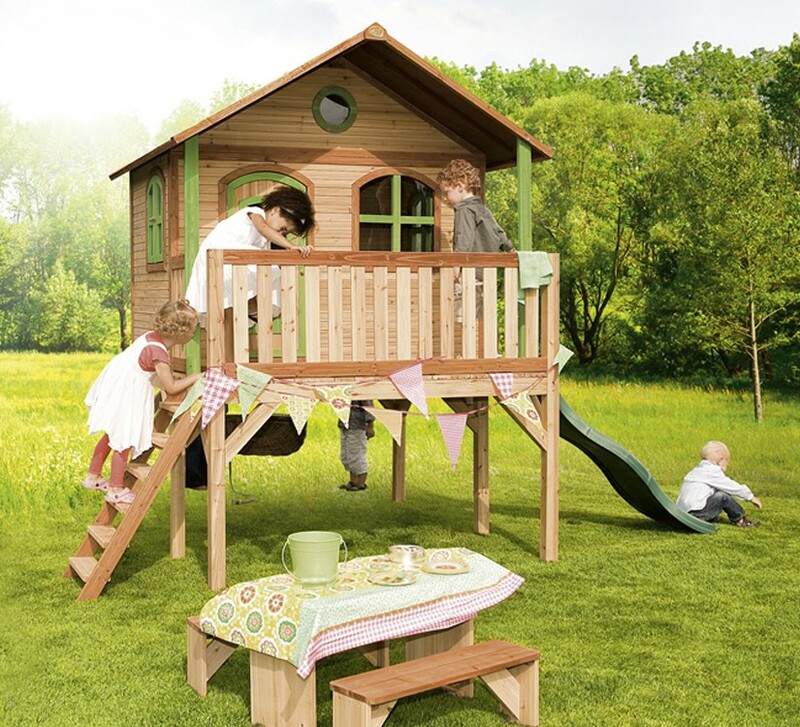 A brand new range of playhouse’s AXI playhouses are not only beautiful, but also strong. 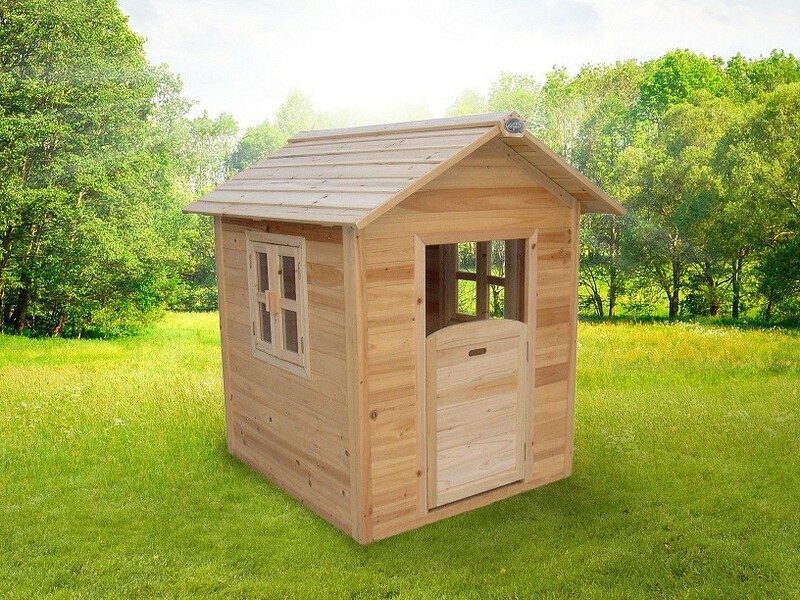 The panels, which the Axi houses are built, consist of cedar planks of 15 mm. ‘Thick’ which are clamped in a frame work of 38 mm. 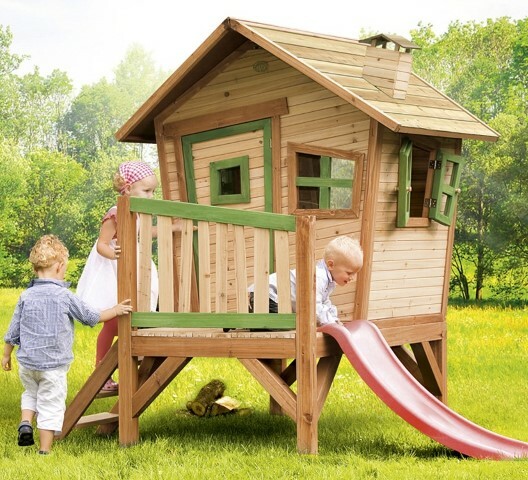 The heavy frame and rugged construction ensure that the Axi house’s are well built and sturdy playhouse’s 1,2,3 … ready & play! 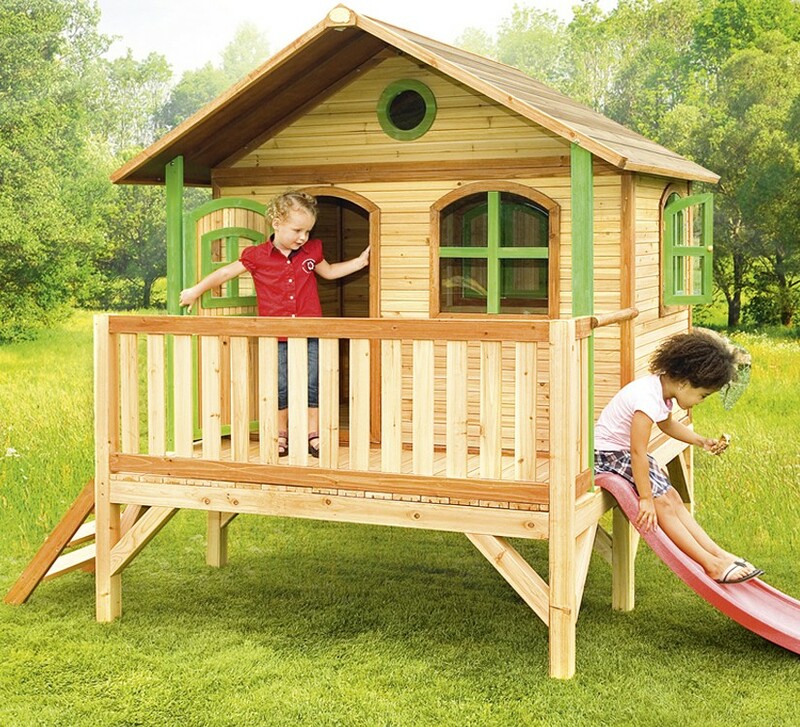 Each AXI playhouse consists primarily of pre-drilled, ready-made panels insuring installing the playhouse is a breeze. The panels are complete with fitted windows Plexiglass with magnetic closure. 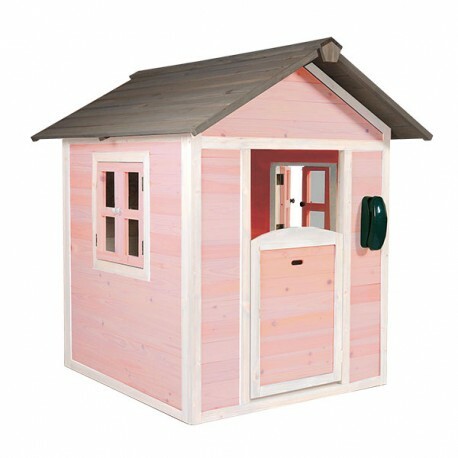 , doors and roofing. 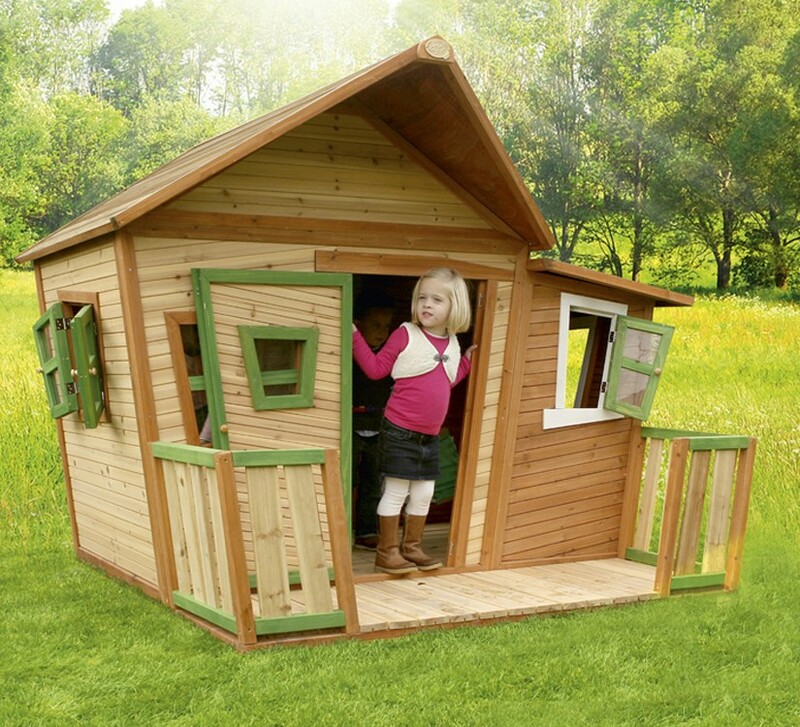 All houses come painted with the exception of the Noa Playhouse . 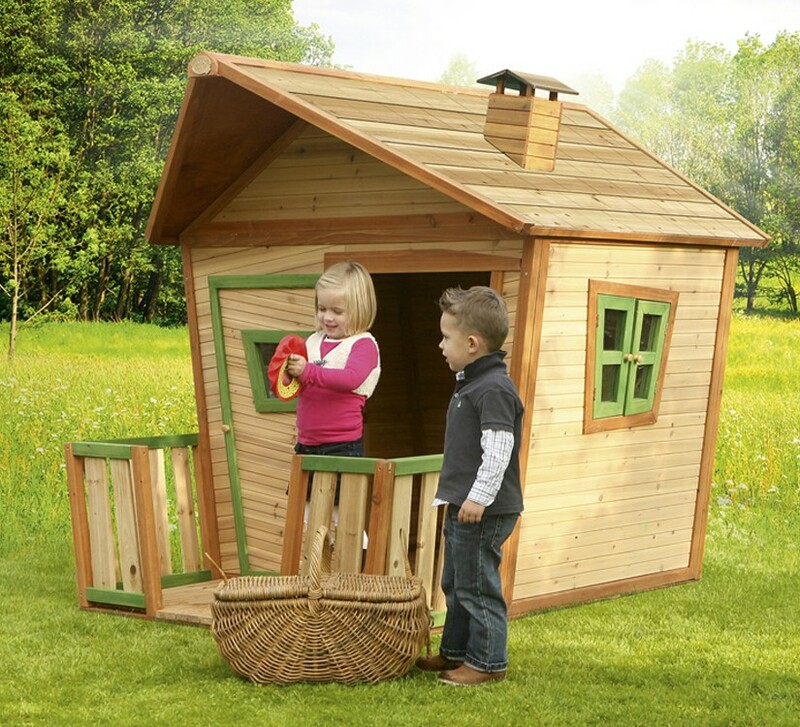 All you have to do is attach the panels together and your playhouse is finished. 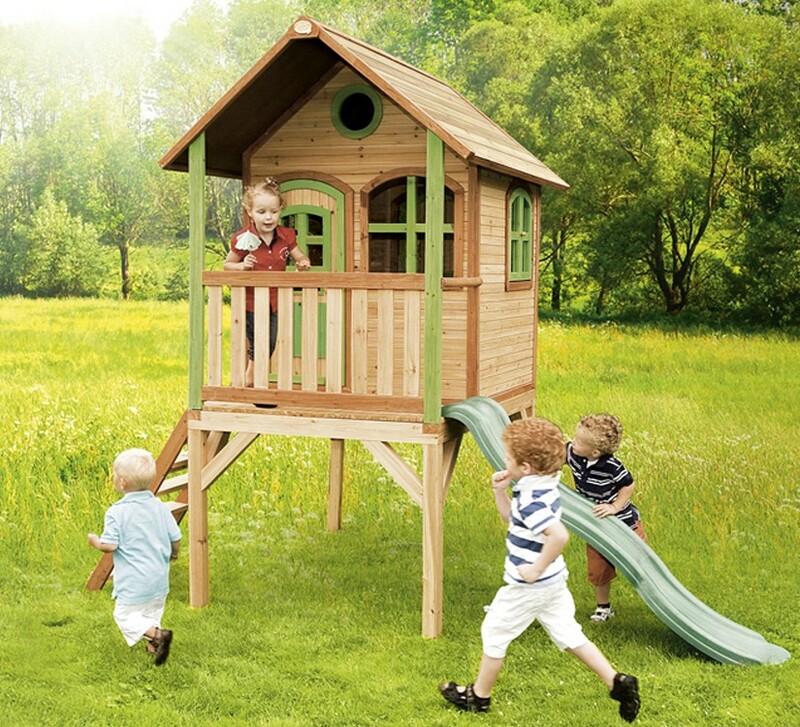 Safe & SecureIf you opt for an AXI playhouse, you choose for safe play. 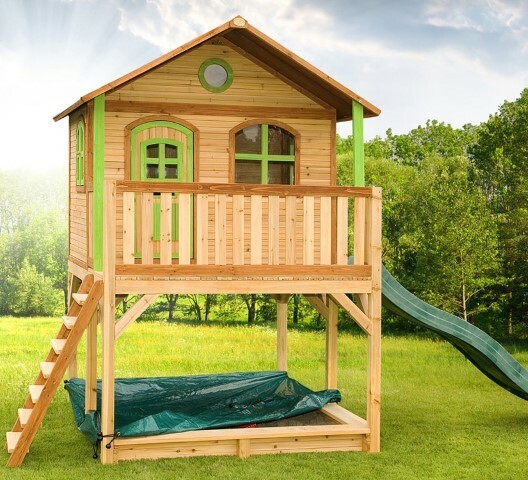 Safe because all houses bear the CE mark and have been tested and approved in accordance with TUV standards, one of the most important standards for toy safety. 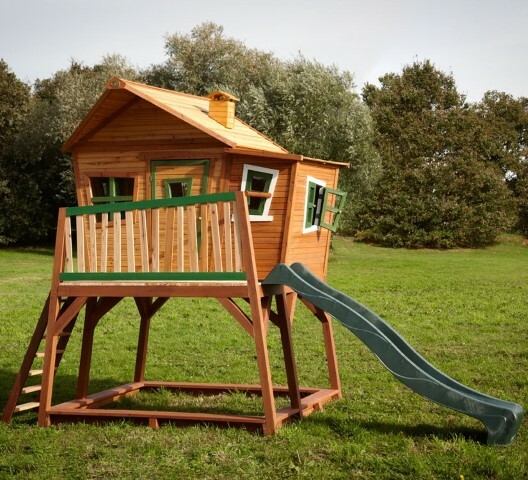 The smooth finish and complete the playhouse is extra safe. 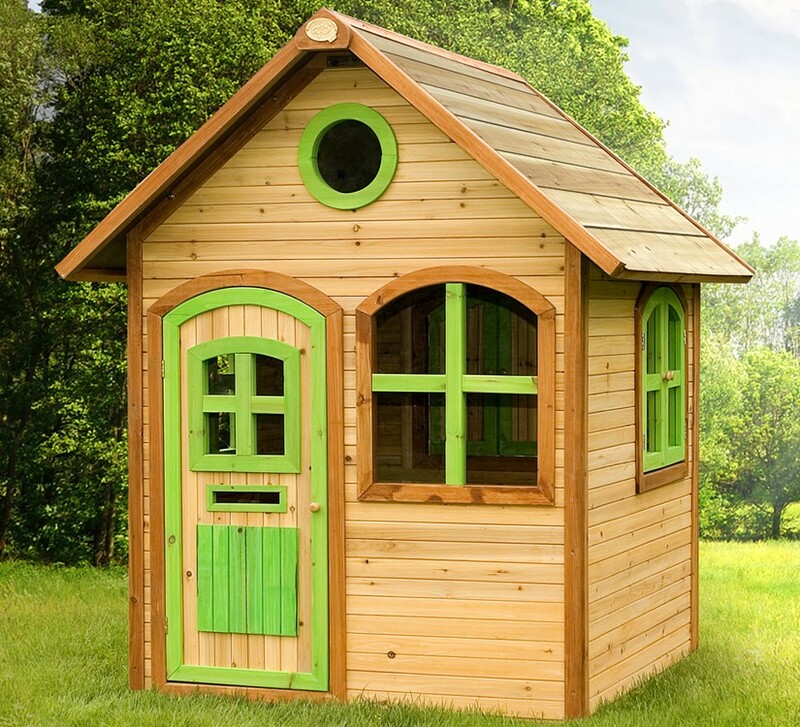 The oblique finish of the window frame minimizes the risk of pinched fingers and the ingenious magnetic clasp close windows and doors in a child-friendly manner. 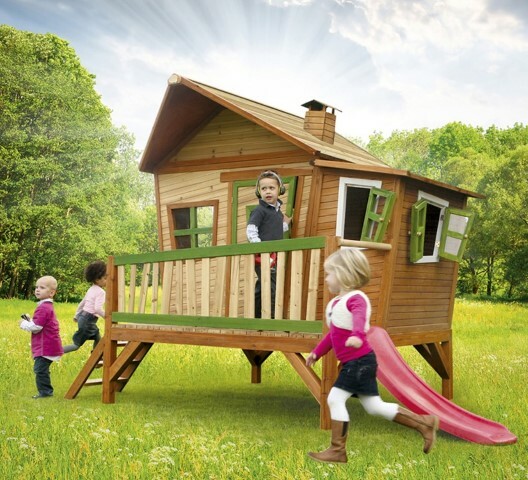 Every step of the AXI playhouse has flat steps, so that children can easily and safely climb up. 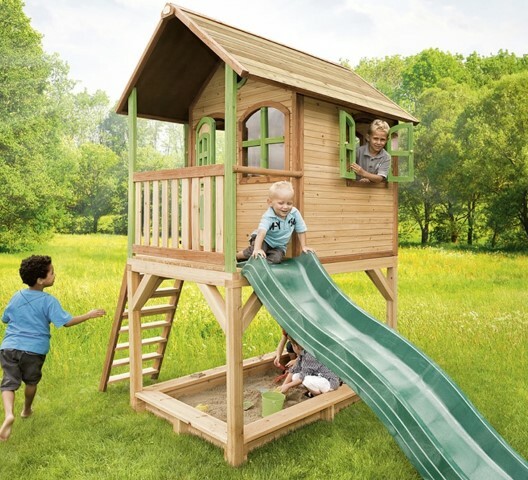 The bar at the top of the slide provides added security. 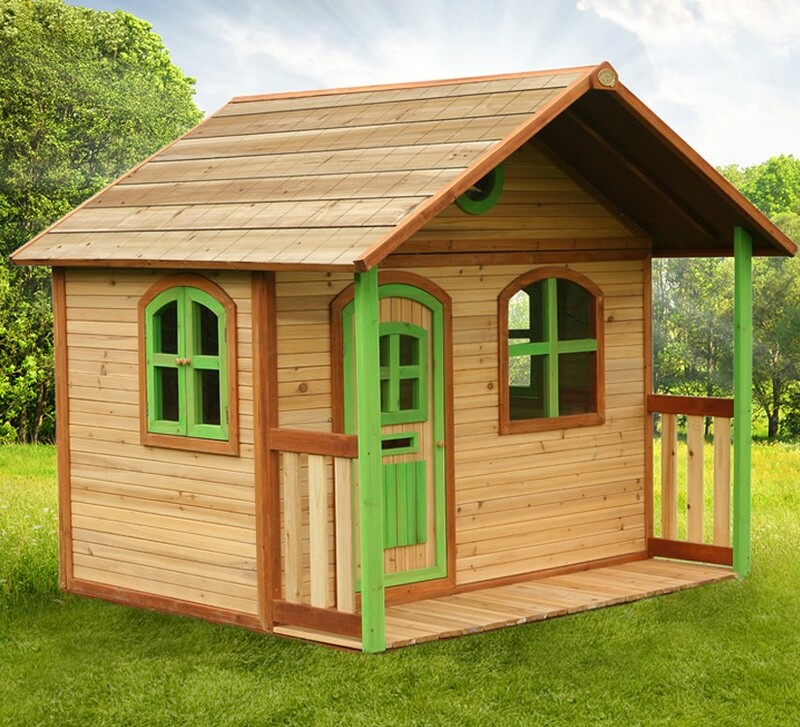 warranty 2 years warranty on construction and a 5-year warranty on the wood!